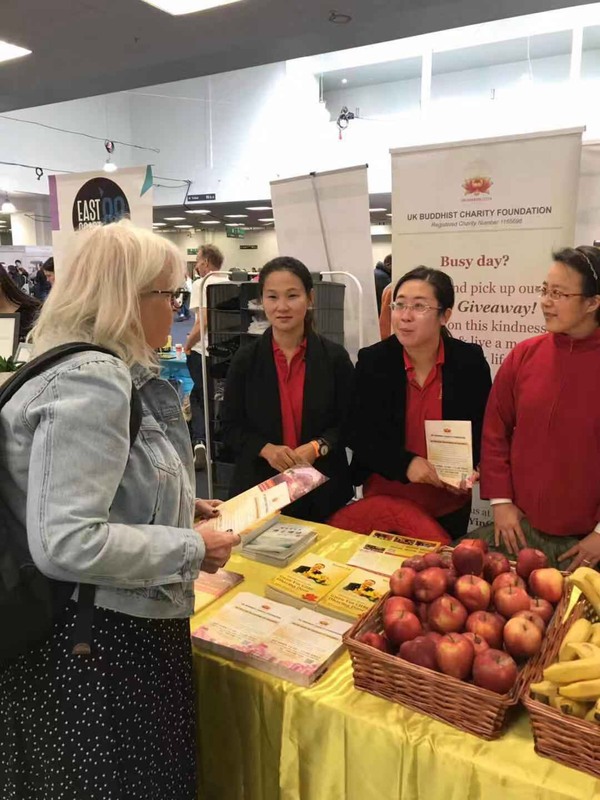 27 Oct 2018 (Lunar Calendar of 19 Sep) is The Renunciation Day of Guan Yin Bodhisattva, UK Guanyin Citta Dharma Door Buddhist Charity Foundation exhibited at VegFest, Kensington Olympia. The aim of this extraordinary event was to promote the awareness and philosophy of Buddhism. Many friendly Buddhist volunteers from an UK registered Charity were there to serve the society, deliver compassion and joy. 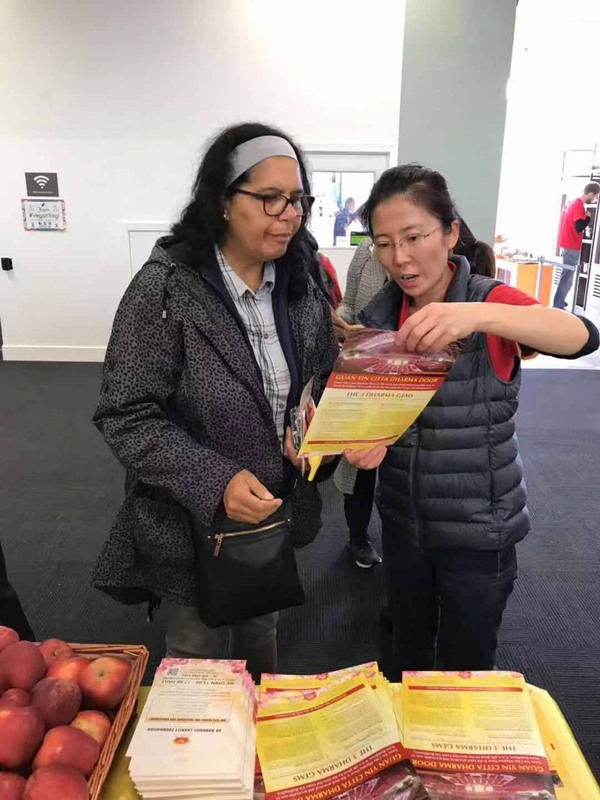 Furthermore, Buddhist volunteers from this charity distributed everything for free, not only the Dharma books written by renowned Buddhist Master Jun Hong Lu, but also many baskets full of fresh fruits. VegFest attracted vegetarians and vegans nationally and internationally, it manifested the idea of mixing the seriousness of veganism, where people can do the following all in one place: eating, socializing, and learning about healthy ethical eating. 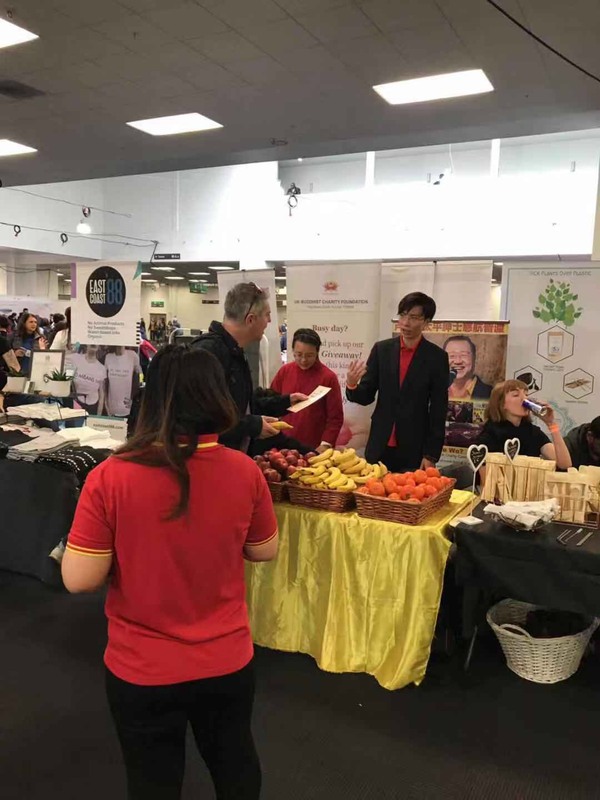 It is an outstanding event for many people, whether they want to mix with like-minded people, or they are curious about vegan and vegetarian lifestyles. This successful event gave a great foundation to share the philosophy of Buddhism. The stand of Guanyin Citta was opposite to the Second-Floor lift. Massive amount of fresh fruits captured visitor’s attention: fresh bananas, sweet tangerines, and the best-imported apples. Moreover, Buddhist volunteers were sharing Buddhist philosophy during this giveaway event. Thanks to all the free fruits and the positive energy contributed by these selfless Buddhist volunteers. They truly received great compliments from the visitors to the stand. At last, all the free fruits distributed away within three hours. During the communication with British visitors, some of them appeared a greatly interest in Buddhism, and some have been practicing Buddhism recitation. 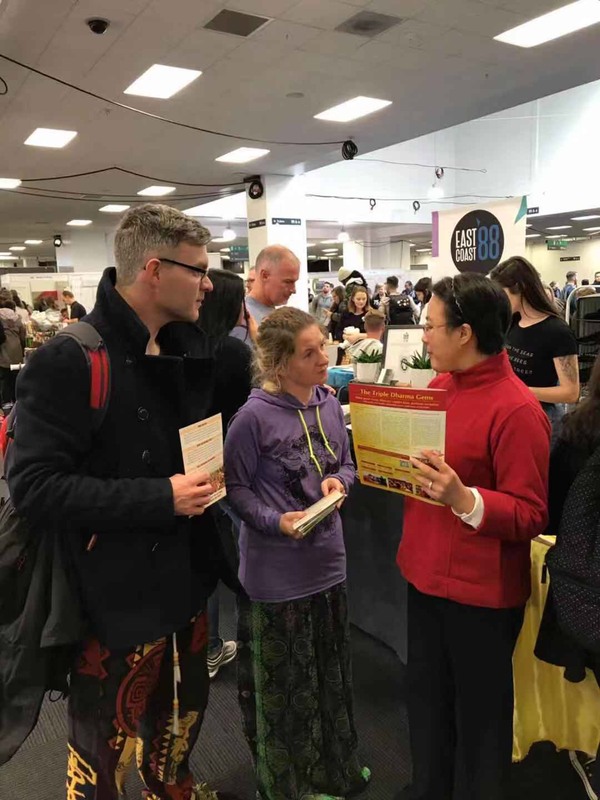 VegFest successfully helped raise the awareness of Buddhism and Guanyin Citta. Everyone will be looking forward for more meaningful events from UK Guanyin Citta Chapter.